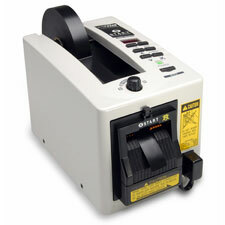 ZCM2200, Electric Tape Dispenser with 3 Length Programmable Memory, Safety Guard, by START International. The START International zcM2200 Electric Tape Dispenser with 3 Programmable Lengths & Safety Guard automatically dispenses & cuts most types of tape up to 2" (51mm) wide. 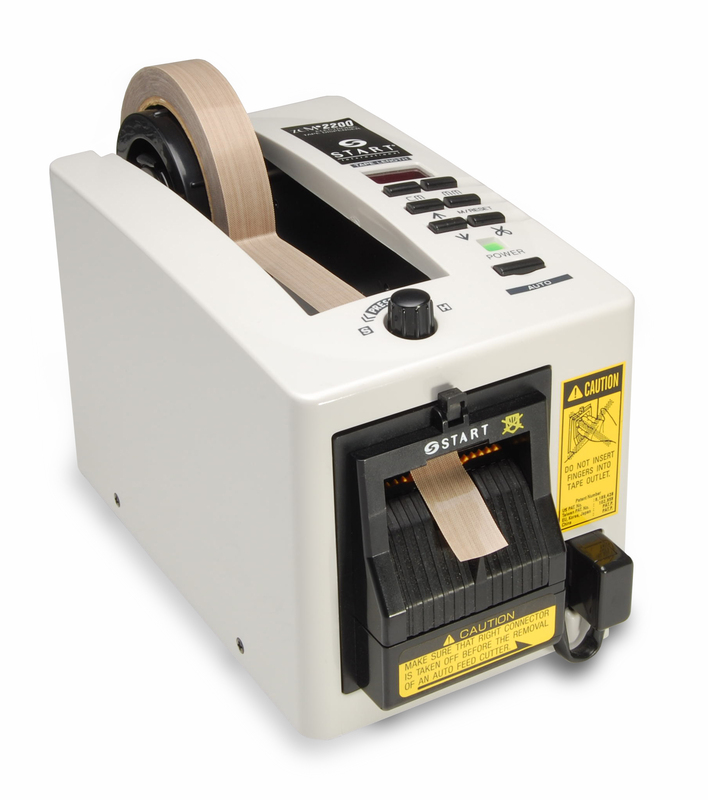 Originally introduced by START International, the zcM2200 is one of the most reliable and accurate tape dispensers on the market. Quickly and easily program a desired length digitally and the zcM2200 will precisely dispense and cut with accuracy of +/- 1mm. The zcM2000 can store up to 3 lengths into memory for easy automatic dispensing of multiple lengths. This model also includes a built-in Safety Guard Cutting Head that prevents cutting injuries by disabling the cutter when foreign objects are present.